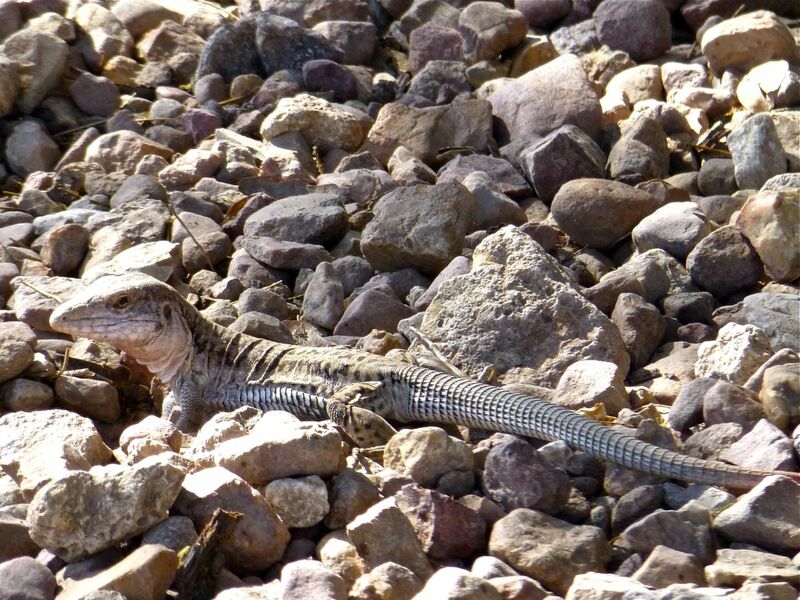 This post was inspired by a couple of recent close encounters of the reptilian kind. When my gal pals were visiting at the end of March, naturally we went to Mitla and wandered through the archeological site. In addition to the intricate fretwork, remains of wall paintings, massive columns, and tombs, one of the, very much alive, residents of this “place of the dead,” caught our eye. She was extremely busy digging a hole in the rocks (to lay eggs?) and allowed us get within less than a meter from her. 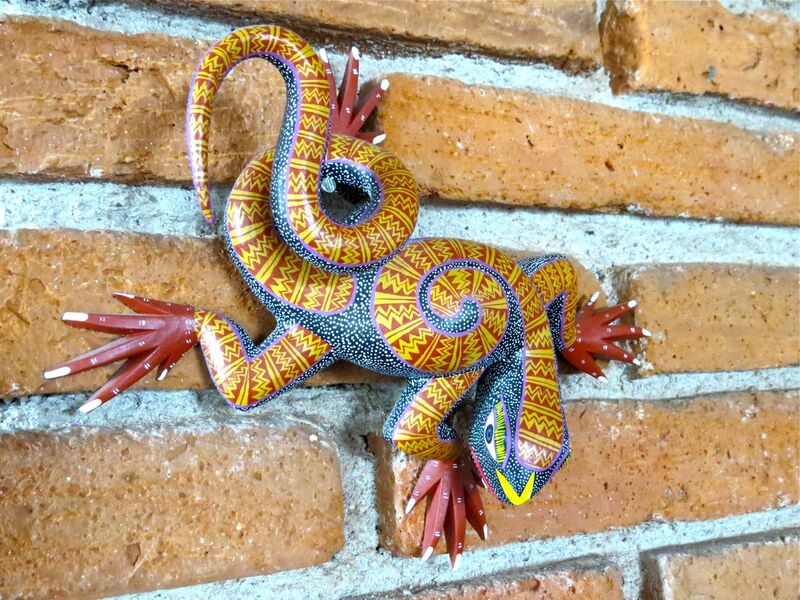 One of her relatives was, no doubt an inspiration for one of my favorite alebrije by Bertha Cruz of the woodcarving village of San Antonio Arrazola. 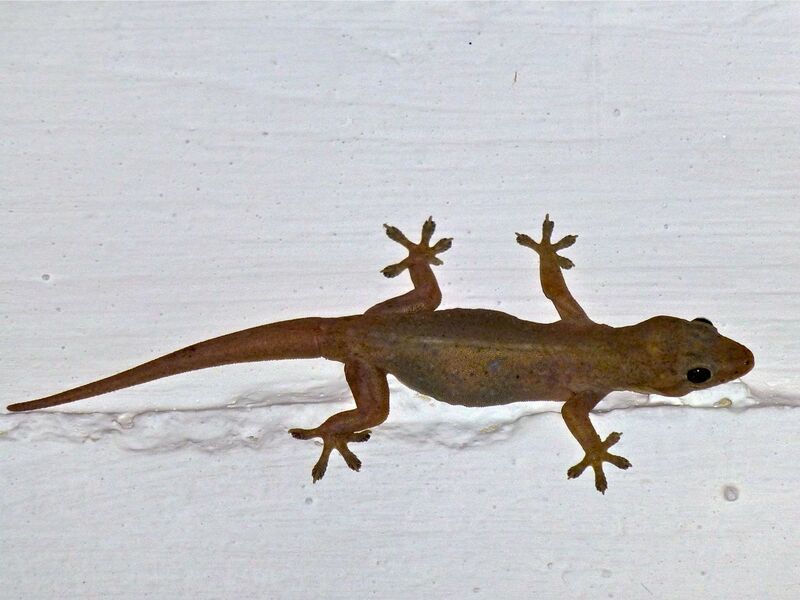 And then, a couple of nights ago, one of my resident, but very shy, geckos made a rare appearance on one of the beams that spans my brick ceiling. While my geckos greet me in the morning and night with their welcoming chirps, they seldom come out into the open when I’m around. However, there it was, high above my head and frozen in place as I approached. It remained while I went to get my camera and then stayed for the requisite photo shoot. Thank you my chirping friend! 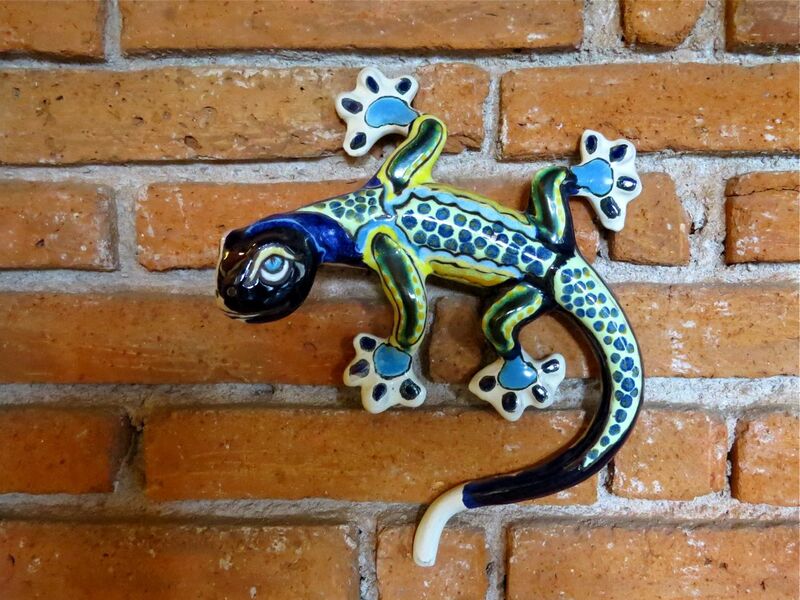 I wonder if, during its nocturnal wanderings through my apartment, my little gecko came across its talavera likeness hanging on the wall?